As some of the most luxurious and expensive vessels in the world, superyachts require some of the most comprehensive insurance policies on the market. From crew and guest welfare to cover for tenders and toys, superyacht insurance needs to protect from a wide range of unfortunate potential eventualities as the maritime environment is certainly a hazardous one. 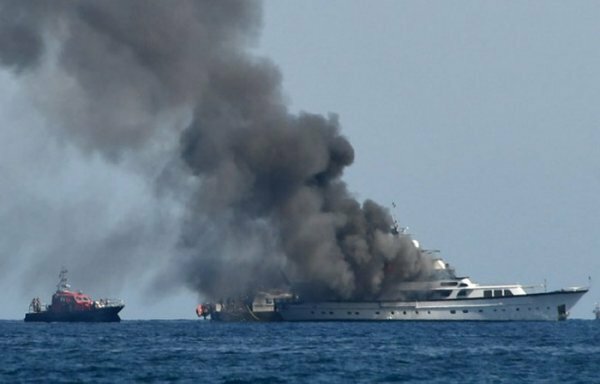 With this in mind, Yachting Pages looks deeper into superyacht insurance cover and claims. What does superyacht insurance cover? 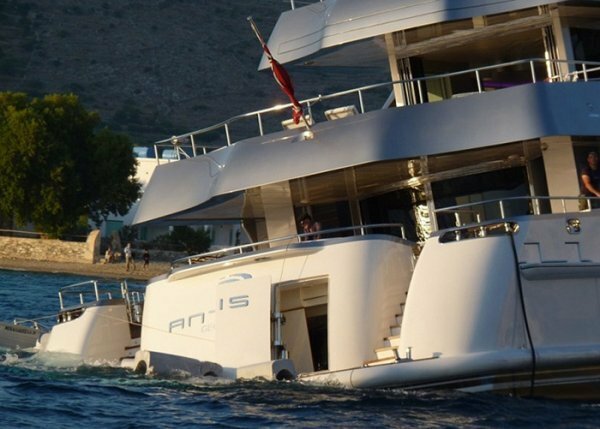 Taking out superyacht hull insurance is to insure the yacht itself. Often an optional policy that some wealthy owners choose to opt out of in favour of self-insuring, hull insurance comprises of cover for the yacht’s hull, machinery, equipment and fixtures and fittings on board. Packages can also often be tailored to ensure any fine art and luxury items are protected. Other extensions including leased equipment, parts removed, non-emergency towing, etc. A modern-day superyacht owner will have to ensure that they are protecting, and are protected from, claims by, and on behalf of guests, crew and third parties involved with the yacht. All yacht insurance packages should offer liability insurance coverage, or P&I (Protection and Indemnity), as standard to insure the owner’s legal liability against third parties, guests and crew. Maria Karlsson, president and broker at Superyacht Insurance Group, advised that this is mandatory cover that’s offered as a separate insurance policy through the many P&I Clubs worldwide. Alternatively, hull and P&I insurance can be combined into one policy, as is more common in the U.S.
P&I coverage is relatively inexpensive compared to hull insurance since it’s offered by the P&I Clubs that operate as non-profit organisations. Any good marine insurance policy should consist of benefits for the guests and crew, including personal accident, medical cover and salary protection, in the event that someone is injured or taken ill during their time on the yacht. Maria advised that the yacht's P&I Insurance is not crew health/medical insurance and shouldn't be treated as such. 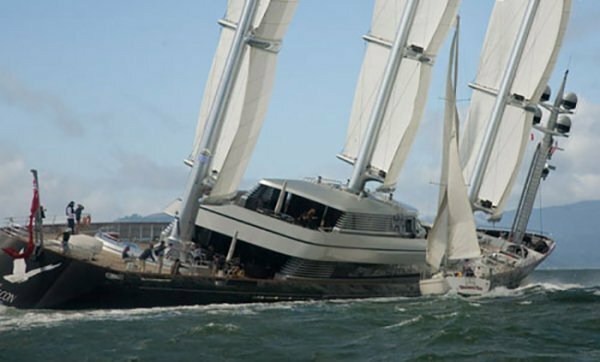 Read more about yacht crew insurance policies here. Another important part of superyacht insurance is shipyard cover to protect the yacht as and when it is entering refit, maintenance, repair and/or conversion. Often, a shipyard’s insurance policy is not capable of dealing with the high value of some of the superyachts available on today’s market. The shipyard may therefore choose to protect itself by requesting a ‘waiver of subrogation’ from the owner’s yacht insurer before any works are carried out. This means that the client and their insurance company will not be able to hold the shipyard responsible for any losses or damages incurred while the vessel is in the shipyard’s care; with it’s signing, the shipyard takes no responsibility for the yacht while it is based in the yard, except in cases of gross negligence and/or a wilful act. When a yacht is held in a shipyard, the yard has an option to transfer its liability for any damages to the boat to the vessel’s owner. This is where a waiver of subrogation comes into play - ‘subrogation’ meaning ‘to substitute’. Financial costs for this protection can vary, from no premium being charged to a small percentage charge based on the value of the yacht. Owners are strongly advised to confirm costs with the shipyard and its insurance provider prior to committing to works to avoid any hidden costs arising after the refit deal has been signed. Simon Winter of Simon Winter Marine advised that it’s therefore imperative that whoever signs the yard’s contract has made the contract available to the insurers for approval. If not, they could find that their insurance cover is void. In the unfortunate event that an owner needs to make a claim against their superyacht insurance policy, it’s best practice to notify the insurer and/or broker of the claim as soon as possible. Most provide a 24-hour emergency response service, and the sooner the insurer is informed, the sooner a specialist can be instructed to assist. In the eventuality of any damage or theft, owners and their crew should work to keep the details and involved parties private, as distasteful ‘trial by media’ can often occur in such high-profile events, long before the investigation has been completed. Simon Winter advised, “With the current succession of high profile losses in the superyacht sector, it has never been a more important time to ensure an effective line of communication is established and maintained with your broker and insurer. “Making sure your insurers are kept up-to-date with movements of the vessel, planned yard maintenance or refit, named windstorm plans or arrangements, proposed marketing for sale of the vessel etc. will reduce the possibility of claims being declined or adjusted and prolonging the claims process, which can be stressful enough in itself. When compiling any yacht insurance policy, it’s always advisable to consult a trusted insurance company or independent broker to ensure the yacht has the best possible insurance package possible. Maria advised the use of a reputable independent insurance broker who can provide clients with multiple quotes and coverage options for review and comparison, since coverage and premiums vary so much from provider to provider. To see the full Yachting Pages article click here. Simon Winter Marine is a specialist marine hull and liability insurance broker. As a specialist broker we can provide coverage for vessels engaged in a wide range of marine related activities including classic yachts, charter vessels, offshore cruising and racing, subsea and commercial use. Our company ethos is to provide the very highest of standards of service while ensuring insurance cover is appropriate to our client's needs. Being independent ensures competitive premiums and impartiality when handling claims on your behalf. All policies are underwritten either at Lloyd's, with major UK and European insurers or arranged through specialist insurance brokers and marine insurance agencies. Full details of policies offered are available on request. Simon Winter Marine is a Coverholder at Lloyd’s. If you wish to keep up to date with all the latest news from Simon Winter Marine please fill in the form below. We use your personal information to provide you with details of our products and services that may be of interest to you. We will not share your information for marketing purposes with companies outside of Simon Winter Marine. Please click here to view our privacy notice. If you do not wish to receive any marketing please tick the box below and submit the form. If you do wish to receive marketing please select your preferences below. Is it charter or private & pleasure? Insuring the past - What is an old yacht worth? We take your privacy seriously, our privacy notice explains how we use any personal information we collect about you.